NZ’s Longest Married Couple – Possibly the World’s! For the second year running, Family First New Zealand has presented an Award for the Longest Married Couple in New Zealand and the New Zealand couple who won last year’s award may not only be NZ’s longest married couple again this year, but the world’s longest married couple. 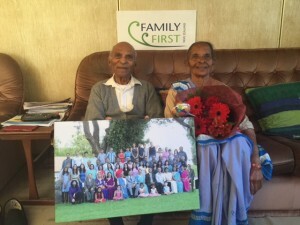 “New Zealand couple JERAM & GANGA RAVJI (below) who won the award in 2016 will celebrate 82 years of marriage this April, and both will turn 101 years old in May and June respectively. That is an incredible feat. We also believe it is the world record which we are checking up on,” says Bob McCoskrie, National Director of Family First NZ. The previous longest marriage that we’re aware of in New Zealand is a Christchurch couple who we believe celebrated their 79th wedding anniversary before the husband died in 2013. The highly-acclaimed activity of recognising couples for their long marriages, which is in its seventh year in the U.S. and fourth year in Canada, has drawn media attention from around the world. Back in 2014 Harold & Edna Owings of California were also recognised for their 82 years of marriage. “This is an opportunity to promote marriage and honour couples who have done the ‘hard yards’. Marriage is a great institution but it requires love and commitment, hard work, and community support. We want to celebrate with couples who are setting the example for younger married couples just starting out,” says Mr McCoskrie. 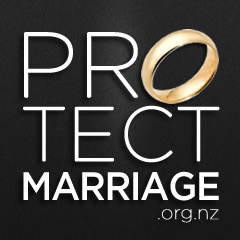 The NZ winners are being recognised on Valentine’s Day 2017, which coincides with National Marriage Week which is the second week of February each year. Last year, the award included a professional photo sitting with the Ravji’s extended family which includes 6 children, 15 grandchildren and 25 great-grandchildren). Last year, we asked them how to make a strong marriage that lasts. Ganga said that in a long marriage there’s been lots of sacrifices, and she’s concerned that the young ones can’t tolerate anything and can’t make sacrifices. They have learnt to tolerate each other. She said that in every life, God’s given good and the bad and you have to work through it. They’ve had a long life and they’ve always had their ups and downs and it hasn’t been a bed of roses – lots of tragedies – but you have to live with it, and work through it. Their parents instilled in them ‘this is the way to do it and this is what you have to do’, and they listened to their parents – they never questioned them. The parents gave them advice and they just followed it, even if they didn’t like it. They knew that their parents knew better than them and wanted the best for them. Due to personal circumstances, the Ravjis have declined any media interviews – which we are respecting. They will receive a gift from Family First NZ in recognition of their achievement. 82 years of marriage in April 2017. They will both turn 101 years old this year in May and June respectively. In April they will celebrate their 82nd wedding anniversary. Together they have 6 children, and 15 grandchildren and 25 great-grandchildren all living in Auckland. Family First NZ has announced the winners in the search for NZ’s Longest Married Couple 2016.